This page presents the series on Representation, Organizing and Community a single essay. The first of four posts. Organizers need to understand the different components of labor activism and their linkage to the culture and character of our movement. We are accustomed to finding the source of cultural differences in the ethnic, racial, gender, sexual, regional or class origin of people, organizations and institutions. With unions, we also attribute much to the specific occupations, workplaces and communities from which unions arise. More recently “service unionism” and the “organizing model” have been discussed as ideal types to explain how the historic decline in union membership is linked to organizational priorities. While all this remains true, much of the labor movement’s culture and character flows from the actual work done by unions. Like other social movement organizations, unions pursue multiple agendas and employ various means to reach their goals. Successful unions represent their members and non-member constituencies, organize to engage new members, develop new leaders and build social networks both inside and beyond the workplace. These three domains of activity–representation, organizing, and community building–produce a wide cast of characters, various work methods and styles, and a complicated, contradictory and conflicted organizational culture. Representation is the most visible and prominent type of union work. Representation covers a range of activities that confronts or engages employers and legislators in an attempt to gain concessions and victories. Representation gets the lion’s share of resources and is what most people have come to understand as the totality of union activity: negotiating and enforcing contracts, settling grievances, influencing electoral campaigns, filing lawsuits, enforcing legal and safety regulations and, more rarely but more notoriously, leading demonstrations, strikes and job actions. Representation often demands and certainly encourages command or executive leadership. The executive — usually an elected official or staff director — maps out directions carried out by a structured and efficient political machine consisting of members and staff. Exemplary political leaders are ambitious, articulate and decisive, even charismatic, and have wide contacts and connections. Ideally, these leaders pay close attention to balancing union democracy with expediency and flexibility. At their best, executive-style leaders articulate a vision or plan for the organization, resolve internal conflicts, and clarify and recommend priorities for actions or tactics to members and representative bodies within the union. Leaders in the executive mode usually prefer to achieve goals using an advocacy method and in practice lead unions to act much like other interest groups. Unions customarily identify specific issues that they wish to change in their contract or in law and bring pressure to bear by changing the terms of the debate with new research and analysis and through member or public education using newsletters, websites or other media. Lobbyists, lawyers, or leaders carry the message to the negotiating table, before the appropriate government body, or to the courts. Members and constituents are called on to sign petitions or send targeted letters, emails, or faxes. The executive or command model assumes the union is an established institution vested with political power and a legitimate part of the existing system society has created to address inequities. The executive is committed to “getting the job done” or “bring home the bacon” and the concern with timely results tends to trump all other issues including organizing, consciousness raising or community building. Command leaders are prone to certain shortcomings, primarily tending to act with excessive expediency and failing to delegate. When each contract, crisis or issue is seen as crucial or a test of a leader’s ability, then a reasonable response is to rely on the experienced and trusted old guard and put off incorporating new leaders into important committees or work. There is frequently tension between established and emergent leaders, and the competitive nature common to executive-style leaders can inhibit the participation of new members and damage the organization’s long-term health. When unions operate like this for long, a few people typically become identified as the union itself, and staff or member leaders become a cadre of experts — easily perceived as separate and apart from the members. At times, strong leaders make a weak people. Members can abdicate their responsibly as activists and good citizens, and staff can compromise their independent judgments to become mere political operatives. Leaders deeply engaged in power politics often forget that real power at the bargaining table or City Hall is the number of people the union can educate and organize for concerted action. Clever negotiating tactics, insider contacts, secret negotiations, or actions by small numbers of activists, no matter how well executed, have proven insufficient to rebuild the movement or win lasting victories. Closed-door power politics also invites scheming, especially if democratic debate is limited or uninformed, or the membership is uninvolved. Not only is palace intrigue an affront to democratic sensibilities but, as King Lear warns, can lead to myopia–fatally distracting leaders and staff from more pressing issues and external threats. More typically, though, the executive model devolves into reactive crisis-management or a passive, narrowly focused casework approach. As working conditions have declined over the last half-century, many unions are overwhelmed with resolving short-term crises and addressing individual problems and complaints. This reinforces an expedient and spontaneous approach to union work, as short-term demands displace strategic planning and vital resources are depleted. Despite the problems with representation it is, in many ways, the culmination of union activity. The political strength of unions is realized in tangible and public struggles and without achievements and victories the union loses its reasons for being. Representation does not, however, stand on its own, for it has become painfully obvious that the failure to organize has diminished labor’s ability to successfully conduct executive functions and political activities. *This essay was originally drafted in 1989-90 during a 10 day building takeover while I was a graduate student at Rutgers University. Initially meant to address the student moment it was revised in summer 2005 to focus more tightly on labor. Later that fall while researching material for an internal organizing campaign, I visited the Communication Workers of America (CWA) website and discovered that the CWA had been using the “Union Triangle” as a conceptual tool to explain their union’s activity to members and to promote activism. While notable difference exist between this essay and the CWA’s approach the affinities are also significant. It is gratifying to know that one of the most vital union in the US labor movement has found this a practical and useful approach and it makes me proud to have been a member of the CWA Local 1032 while a staff member at Rutgers AAUP-AFT. Many Americans, including many radicals, think that the US has no revolutionary tradition to call its own. 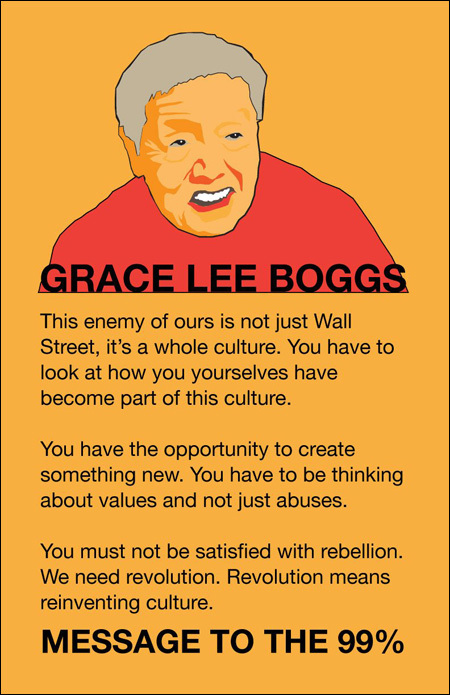 To them I say: Grace Lee Boggs! Since the 19th century unionists have been exhorted to “Organize the Unorganized!” Organizing has been a distinctive and essential element of union culture. Despite the advent and usefulness of modern communications technology the core activity of organizers remains largely unchanged. Organizers build relationships to help people unionize new shops or increase membership where unions already exist. Organizers put people in touch with each other and work with new members to encourage their involvement and exercise their leadership skills. With desire and a little training nearly everyone can become an effective organizer since it depends primarily on existing relationships and listening skills. A good member-organizer does not have to sign-up hundreds just handfuls. Organizing tends to promote union democracy, group solidarity, and participation in the life of the union. The primary work of organizing is face-to-face. Personal outreach raises consciousness and empowers individuals by creating effective local organization. The many forms of outreach — recognition campaigns, tabling, one-on-one visits, small group meetings, phone banking, educational events, petition drives — are based on personal contact and encourage personal relationships. Organizing uses existing friendship groups, social networks and neighborhood ties as conduits for political consciousness and activism. Organizing works to undermine the persistent “othering” that makes unions appear as strange or threatening and distances them from members and would-be members. Keep in mind that the vast majority of people in the US have had no direct contact with unions and draw their impressions from media and mythology. When organizers initiate face-to-face contact, act with compassion, and willingly accept criticism as necessary for the union’s development, they help to overcome these barriers by putting a human face on the union. Organizing is also an educational process through which union leaders and staff learn from members and prospective members. It’s a productive way of discovering new perspectives, new issues, and getting a better grasp on the state of everyday popular consciousness. Organizing works as a regular reality check that tempers wild idealism, curbs disembodied radicalism, or may push a lethargic and conservative leadership to catch up with its members. Unlike the executive, organizers tend to assume not power but powerlessness on the part of the individuals and organization. Power emanates not from existing institutional arrangements but in upsetting those relations by bringing large numbers of new actors, bearing new ideas, on the scene. Organizers tend to discount the power of individuals acting alone, or of logic, facts, or reasoned argument alone. Empowerment is a product of a growing and engaged membership acting collectively around issues that members define as important in ways they choose as useful. While organizers are certainly drawn toward conflict and confrontation to solve problems, organizers can adopt collegial, cooperative or partnership approaches when those are demanded by the experience and temperament of the members or when the rare enlightened employer allow. Organizers tend to see those in power as resistant to any demand for improvement or justice that would undermine their power regardless of how reasonable or productive such changes might be. Organizers often assume that partnerships can only be authentic where a rough parity in power exists between the unions and employers. If the asymmetries in power between union and employer are too great partnership becomes paternalism or just another command-and-control technique. Another distinctive feature of organizing culture can be seen in the emphasis organizers place on members and potential members in the arena of political action. It is the organizers first priority to promote and nurture leadership and cement the solidarity of members and others. That means the community is the primary audience for tactics and programs and only secondarily the employers or holders of power. First raise the army, then go on the offensive. It also means organizers must yield, at least provisionally, their own goals, vision and understanding of politics to that of their constituency. Still, organizers aim to raise consciousness. But they do it best, as a good teacher might, from a position just ahead of their constituency’s current understanding. A good organizer is always one step ahead of the members — always one but only one. Organizing can ring hollow if it is devoid of political principles or a vision of community and democracy. Conventional organizing all too often devolves into simple-minded salesmanship that is concerned only with head counts and dues income. Organizers can easily become crudely pragmatic by using whatever pitch work for the moment, cutting deals with employers, or promising unrealistic results to show short-term progress on the numbers. At worst, organizing can slip into manipulation by the organizer that shortcuts worker activism and encourages cynicism and withdrawal by the members. More typically, organizers simply burn out, get promoted to managerial positions in the union, or get distracted. In an environment driven by service needs, organizers have a hard time resisting the continual demands that they abandon their slow, long-term projects and take on the seemingly more urgent servicing of existing members. Given the current state of the labor movement, organizing is unquestionably the most pressing task for the foreseeable future. At present, too few organizers face a large demobilized and demoralized work force to make large-scale organizing successful. Despite the passive appearance of the unorganized, the need runs deep for freedom and democracy in the workplace and for working conditions that lead to decent lives and quality work. It is important to remember that organizing is not a subculture unto itself but part of a larger body of knowledge and action that includes representation and community building. If unions can represent a growing and engaged membership, show victories or conduct praiseworthy struggles, then a new sense of community may emerge. This is the third in a series of four posts. Community building has much in common with organizing. Successful organizers are usually embedded in communities. Of all activity in the labor movement community building is most ignored and least understood. Very few unions hire staff or designate leaders that dedicate a portion of their efforts to coalitional work or community outreach. Fewer still dedicate significant resources to the activities that form the foundation of community. An array of community-labor organizations outside of, but linked to unions, as taken the lead. Before the 1940’s however, the labor movement’s power grew from local, usually urban and ethnic communities. Organizers did not restrict their activities to the shop floor. Local merchants, families, religious groups, ethnic associations, community organizations and intellectuals all participated in the labor movement. Community networks existed in neighborhoods or ethnic groups and the daily activity of working class people in sports, taverns, clubs, and local government. Unions were part and parcel of these networks and carried on outside the workplace in sport leagues, theater troupes, vacation resorts, mutual-aid networks and local political parties — all to the tune of a rich body of labor music. The music displayed labor’s cultural sources by borrowing liberally from folk, gospel, and blues traditions. Historians called this social unionism but it suffered the same fate as organizing when US labor came of age in the post-WWII world. At the same time that unions turned away from social unionism and community building as no longer necessary, the upheavals of the mid-20th century transformed and revitalized identities and traditions, reshaping community among people of color, youth, women and sexual minorities. These communities continue to be labor’s allies and underappreciated sources of strength. The revolution that occurred in consciousness and identity that we associate with the new social movements provides one of labor’s richest resources. Movement culture of the 60’s helped to recast and broaden the range of oppositional social positions and alternative identities available to activists. These activists then seeded the labor movement. This new wave of activists were a part of, and could relate to, the increasingly female, ethnic, and immigrant workers that have been among the greatest sources of new union members and leaders. Even so, these communities are not stable resources waiting to be tapped. Communities, like many workers, are contingent — sometimes they are there — sometimes not. The global economic restructuring that began in a big way after 1975 weakened labor and eroded popular involvement in community. Stagnant compensation and increased work hours drained away our ability to participate in civic life beyond that necessary for the short-term survival of our families. Communities can recreate themselves but it takes intentional work. As community organizers will tell you, “The community you get is the community you make”. Today, community building in Labor’s neighborhood commonly takes two related forms. The first and most successful have been the multi-sector or cross-class communities that have emerged from coalition work. Jobs With Justice, Students Against Sweatshops, Central Labor Councils, and the Living Wage Campaigns, have not just demonstrated that there is a labor community beyond unions but provided the movement with some of the most innovative and inspirational organizing in recent history. The Fight for $15 relies heavily on a mobilized community. Community building and coalitional work also promises a grassroots alternative for national and international labor issues. The Coalition of Contingent Academic Labor, and the New Faculty Majority for example, has helped to build community among part-time and non-tenure-track faculty members in Canada, the US, and Mexico. Similarly the coalitions working for justice in the Maquiladoras coordinate the activities of religious, labor, environmental, community and women’s groups throughout North America to address the catastrophic consequences of so-called free trade. Local communities based on racial, gender, sexual, geographic, or political identity may resemble the older, seemingly more stable traditional forms of community but community has always proven difficult to create and sustain. Unions often see this work as a luxury they cannot afford yet it was once a pillar of union power. A minimal investment in parties, receptions, happy hours, film series, book clubs, lectures, and other cultural events can promote a greater appreciation for unions activists as well-rounded people, and create real bonds of trust and friendship. The creative communities of poets, artists and musicians are particularly fertile fields. The college campus offers an excellent opportunity for the development of community in which the union will be an important participant. A more community focused unionism would encourage workers to articulate their views as women, or citizens, or gays, or professionals, or people of color, or immigrants. Community building could help labor grow as a social movement by tapping into the creative energies unleashed by other identities and other movements for justice. Speaking as part of the community encourages social movement unionism. Community organizing enables labor’s issues to become matters of the public interest and public issues to find a prominent place on labor’s agenda. The last post in the series. Local communities are important venues for consciousness raising and for leadership development. The key, it seems, is finding members well suited and willing to devote time and energy to cultural work and community activism. Community builders use methods much like organizers but instead of the politically charged manner of the organizer, the community builder emphasizes symbolic appeals aimed at including the broadest possible number of people regardless of their involvement with unions. Community builders emphasize universal values and articulate lofty aspirations because communities are the social form through which shared understandings and identities take on tangible life as human activity. Enduring attachments and deep-seated affinities between people cluster around affirmations of goodness that usually take the form of positive ideals, images, relationships, and values. We fail to win people’s support and allegiance because we too often rely solely on criticism, resistance, and opposition to the negative. In human imagination, the greatest good usually resides not in critical discourse but in symbol or the narratives of tradition, myth or history. Activists should engage the cultural vehicles that carry shared meanings and identities if they aim to build community. The hard-boiled union leader or macho organizer may snicker at such talk and the labor movement has largely retreated from symbolic work surrendering the field to the military, state, church, family, and mass media. The scholarly community too largely avoids the study of how meaning is constructed preferring instead the easier work of social criticism and critical theory. But without a sense of connectedness between individuals that share a common sense of history, interests, ideals, and values our movement will be unable to mobilize millions. 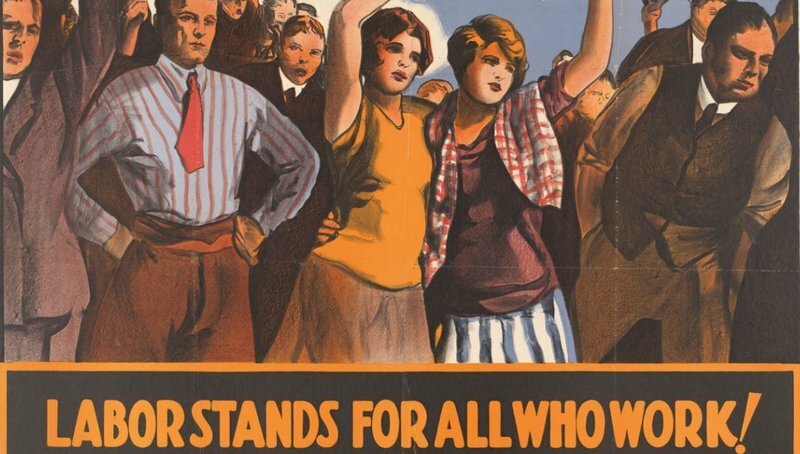 Community lifts people beyond the enervating internal politics and grueling struggles of unions so they may reconnect with the deep reasons that motivated their activism in the first place. 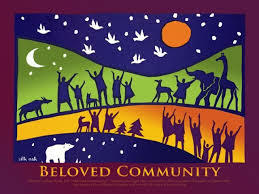 At their best communities prefigure a better world even if that sense of belonging and transcendence proves fleeting. It is no coincidence that the civil rights movement, one of the most successful and enduring social struggles in modern history, was animated by a powerful, capacious sense of community. Martin Luther King viewed the creation of the “beloved community” as the ultimate goal of the movement and drew on the teachings of Jesus, Thoreau, Gandhi, and the style and sensibility of African-American Christianity to craft a powerful sense of belonging that proved to have global appeal. Similarly, the labor movement must look creatively at its own traditions and find universal values that will both draw on and transcend existing worker identities. If community builders focus too closely on prefigurative politics and distance themselves from day-to-day struggles they can often begin to presume the movement to be more powerful, the world more easily changed, or people more easily perfected than is actually the case and so are tempted to raise barriers to participation. Communities lose their power by becoming too exclusive, drawing a firm boundary between the purified and the fallen. Community builders can sometimes forget that all values are aspirational and lapse into holier or more-radical-than-thou moralism. Successful community builders err on the side of inclusion and address problems with compassion and engagement, not condemnation, instant analysis or moral self-righteousness. In the end however community alone always falls short. Since dominant culture and the political power of governmental and corporate elites are institutionalized and reproduced daily, the community efforts alone can envision the ideal but never realize it. This essay suggests that the labor movement has three interrelated and contradictory projects. Representation, organizing and community building are all necessary, conflicting and complementary. In the same way we should accept and draw strength from cultural diversity, so this type of political diversity can also be a source of insight and power. We all need to locate ourselves within these different trends, and to see these diverse tendencies within ourselves. 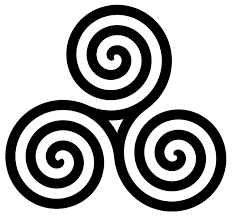 The balance between the three is dynamic and shifts over time. The ability of unions and other social movement organizations to effectively represent people was originally a product of extensive self-organization and struggle, the recasting of community allegiances, and dramatic transformations in consciousness. On that foundation the movement constructed a professionalized bureaucracy dedicated to representing and servicing its constituency. Despite the dedication of vast resources to representation those efforts slowly lost power and momentum. The focus of labor activism became the maintenance of organizations and institutions rather than the more risky work of movement building or the more creative work of prefigurative politics.